Dr. Richard Ellenbogen can perform facial fat grafting as a stand-alone procedure if you prefer a more minimally invasive facial rejuvenating option. However, he often recommends fat grafting in conjunction with a Facelift in order to achieve enhanced results. Ideal facial fat grafting candidates have a loss of facial volume in the cheeks, around the lips, or below the eyes. It is also effective for individuals experiencing deep wrinkles, nasolabial folds, or sunken eyes. Often, Dr. Ellenbogen will perform facial fat grafting along with rhinoplasty. This allows him to achieve better results by shaping the face to match the nose. The best way to determine whether facial fat grafting is the right procedure to address your needs is to speak with Dr. Ellenbogen in person. Your facial fat grafting procedure uses minimally invasive methods and requires almost no downtime. During your procedure, Dr. Ellenbogen will perform liposuction to remove fat from a donor site such as the back or love handles. The fat will then be purified to ensure that only undamaged fat cells are used for your grafting procedure. The purified fat cells are injected deep within the structures of the face to accentuate the cheekbones, midface, lips, cheeks, chin, and jawline. By using this minimally invasive technique, your face can be reshaped without the prolonged downtime associated with more invasive procedures. In addition, you also achieve body contouring benefits since the donor region will be sculpted when fat is initially removed. Over the past three decades, Dr. Richard Ellenbogen has chosen to make facial plastic surgery a primary focus of his practice, and he has pioneered several procedures commonly used today. 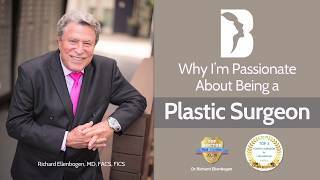 He is regarded by many plastic surgeons as the “Father of facial fat grafting.” As a result, Dr. Ellenbogen knows exactly where to place the fat to recreate the shape of a youthful-looking face. 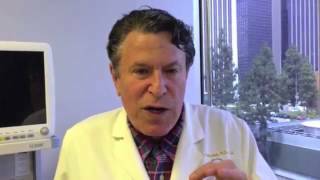 Dr. Richard Ellenbogen was one of the plastic surgeons who initially pioneered the use of facial fat grafting years ago. Due to his extensive experience with the procedure, he frequently gives lectures around the world on the topic of fat grafting in order to help other surgeons understand the most effective techniques available for use with this procedure. As a result of this highly specialized knowledge and experience, Dr. Ellenbogen is able to consistently deliver beautiful, natural-looking fat grafting results that help to restore a vibrant, youthful complexion. *With optimal treatment. Results may vary for different patients and are not guaranteed. Contact our office to schedule a personalized consultation to determine if you are a good candidate.